In all times and societies there are gifted people who influence through their actions and by their very existence the destinies of people and countries. The emergence of these extraordinary people is of particular importance for small countries. Such a person was Peeter Põld, one of the most outstanding men of Estonia in the 20th century, yet one whose life’s work was not acknowledged for decades. From his university years he worked side by side with outstanding leaders of the awakening of national consciousness to thwart attempts at Russification and to establish a nation. Peeter Põld’s greatest work was in the field of education. Aulis Aret has aptly called Peeter Põld “The Pathfinder of Estonian Education”. The exemplary talents and skills of Peeter Põld were evident in several areas of life: politics, journalism, social development, culture, morals and religion. Peeter Põld dedicated his entire life to serving the Estonian nation, and was guided in his activities by his religious values. 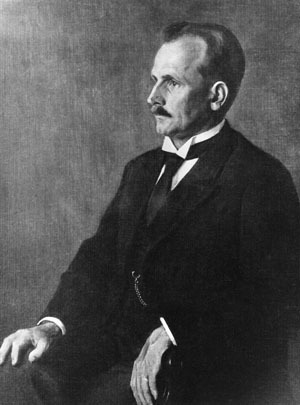 PEETER PÕLD was an outstanding individual in the development of the Estonian nation and statehood: he was the first Estonian minister of education, the developer and rector of the Estonian national university, the first Estonian professor of education and practitioner of educational sciences, the headmaster of the first Estonian gymnasium with instruction in the mother tongue and one of the most active proponents of national educational principles. He was also one of the most influential creators of the national ideology and one of the most diligent builders of Estonian statehood. He was the leading figure in the Estonian temperance movement, and one of the most educated and cultured personalities as well. 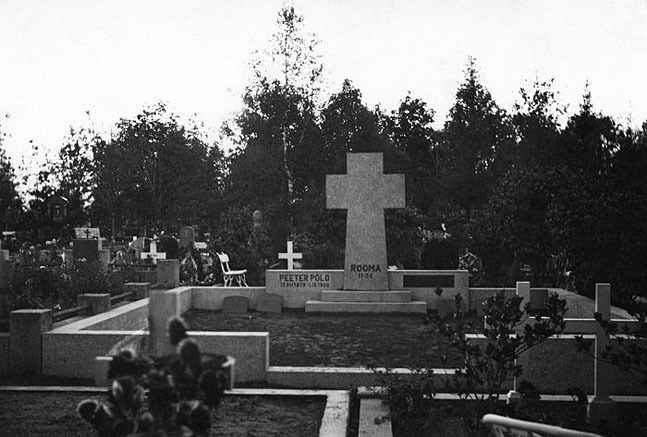 Postimees published an article in memory of Peeter Põld on May 9, 1939. No. 124. What was this basic strength that produced such responsibility and loyalty? It was most probably a profound and abiding love of God and his people. Certainly it was that. Peeter Põld was one of the richest men in Estonia in terms of true values, values more precious than anything money can buy. As a great educator, he possessed those values in abundance and gave them away as gifts to Estonia. This is the only way he was able to do such outstanding work during his limited years. He has erected a monument in the hearts of people which is more lasting than those cast in copper. J. Tork. Centenary of the Birth of the Great Educationist Peeter Põld. Our Life newspaper (Meie Elu), August 17, 1978. No 33. In the summer of 1975 one of his daughters came from Canada and stood silently looking at his grave. She found the grave well tended and decorated with flowers. L. K. P�ld-Sherlow. Peeter P�ld � An Educator of Estonian Youth. In School and Us. (Kool ja meie.) Toronto, 1976, p. 38.